This Chinese knots is decorated with embroidered Chinese cranes and pine trees. In the Chinese culture, the cranes and pine trees symbolize longevity. 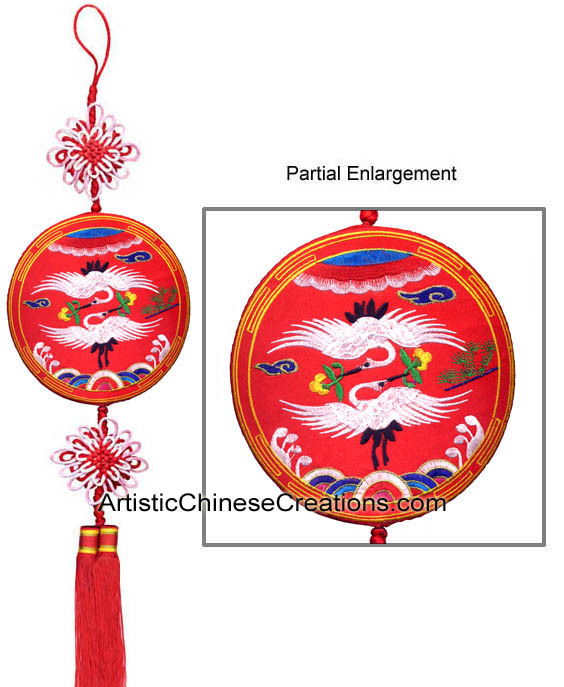 Suggested Uses: Wall Hanging, Auto Mirror Hanging, Lamp Hanging or Door Hanging. Group Hangings can also be very attractive.